AJS held “Happy Hour: Happy Easter” mainly organized and led by the interns on April 19. They gave quizzes regarding the Easter which surprised and entertained the participants very much. 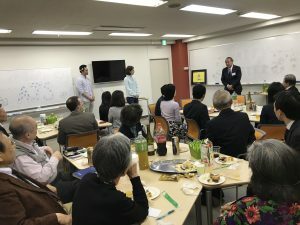 Although Japanese people are mostly not familiar with this event, the attendants have understood what the Easter means through the interactive conversation. 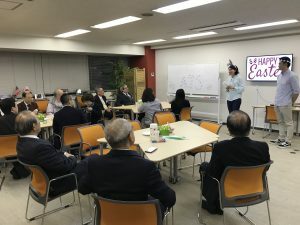 It was really a good time to enhance the communication within the members.